We are here to help you grow. Call Now for a Fast Proven Approach to Jump Start Your Men's Ministry! · Only 1 out of every 18 men have ever been discipled or mentored. · 95% of men say they don’t have male friends; less than 1/3 of men in church say they have a true friend. · When a mother comes to Christ, her family will join her at church only 17% of the time; but when a father comes to Christ, his family joins him 93% of the time. · There are 113,000,000 men in America over the age of 15, but 69,000,000 of these men make no profession of faith in Christ. 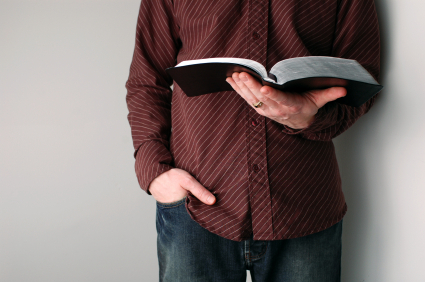 · Less than 1% of churchgoing men participate in any sort of ongoing men’s ministry program. · Over 70% of boys being raised in church will abandon it during their teens and twenties. Many of them will never return. With these sobering numbers, who is mentoring the mentors? We’ve put together a 3 PART SERIES that will help men grow individually, teach the most cutting edge approach to keeping men engaged in men’s ministry, and move your men to action! Grow Your Self: If you are not actively being discipled, you cannot disciple someone else. To jumpstart your men’s ministry we believe it begins with you. It’s essential for each of us to have a vibrant relationship with our creator and understand how the Gospel and God’s Truth set us free from the unhealthiness that creeps into everyone’s life. We have all the transformational resources available to get started right away. Grow Your Men: Growing Your Men is where you learn exactly how to facilitate your men’s ministry. How do we help men grow? All small group leaders need to know how to facilitate a small group of men, how to disarm an unhealthy situation, and how to move someone to discovery through the revelation of the Holy Spirit. We will be there with you every step of the way. Grow Your Ministry: Every man desires to be a part of something bigger than himself. The key to growing your ministry is moving your men to becoming actively involved in ministry. It’s learning to see where God is moving and then joining Him there. We give you the step-by-step approach proven to build your ministry and impact men’s lives. I’ve been growing men’s ministries for years and I’m here to help you! So call me at 765-635-8530 and let’s get started.